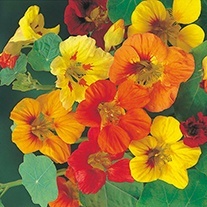 Nasturtium Seed, Flower seeds delivered direct by D.T.Brown seeds. 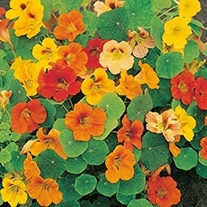 Nasturtium are easy-to-grow robust annuals which thrive even in poor soils. 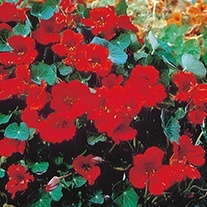 Use the climbing types to cover unsightly fences and sheds or as ground cover. 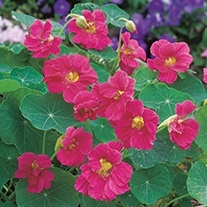 The compact types are excellent in containers. 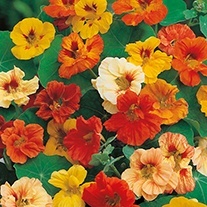 Leaves and flowers are both edible and will add colour and taste to summer salads. 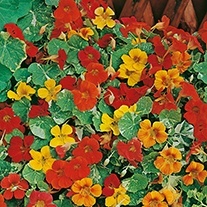 These colourful blooms make wonderful additions to any garden and look wonderful planted up in pots or hanging baskets. 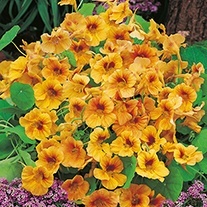 Nasturtiums are known to attract bees and other beneficial pollinating insects too!